Here is a Xmas jumbled letters puzzle. 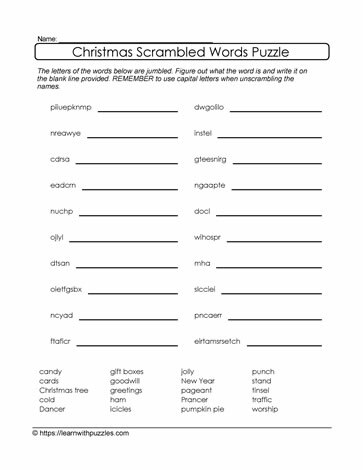 Challenge the brain with Christmas theme printable scramble letters puzzle. Great support to theme based activities for students in both elementary 3rd, 4th, 5th grade classrooms and the homeschooling environment.